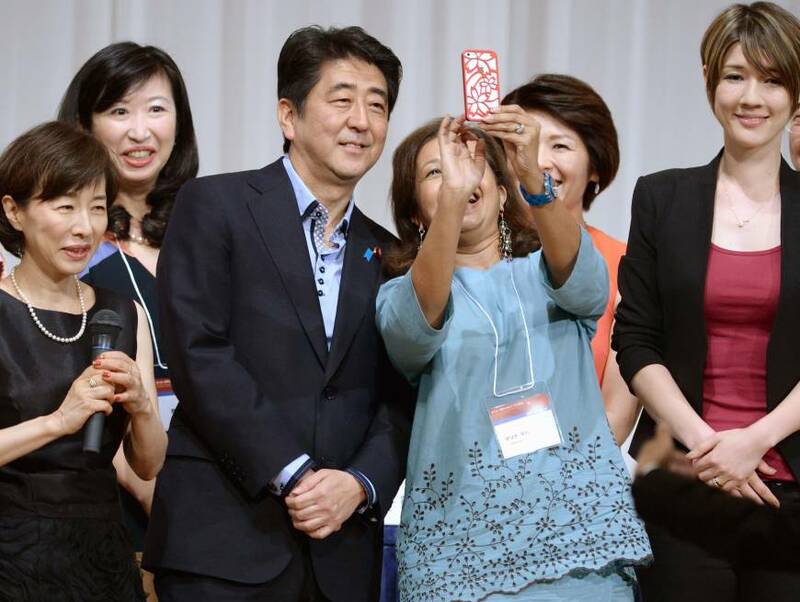 When Prime Minister Shinzo Abe showed up last Sunday for the 19th International Conference for Women in Business, Kaori Sasaki — who has been organizing the gathering to empower women since 1996 — finally felt that society was changing. When Sasaki launched the project almost two decades ago, companies scoffed at her, saying a meetup for female professionals was for losers, she recalls. Some progress has been made since Abe took office for a second time in December 2012. Viewing women as a crucial force needed to save Japan’s teetering economy, Abe is pressuring companies to help them land 30 percent of the leadership positions in all industries by 2020. 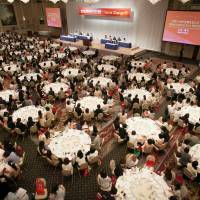 “Game Changer” was the central theme of the 19th International Conference for Women on Business, which was sponsored in part by The Japan Times. 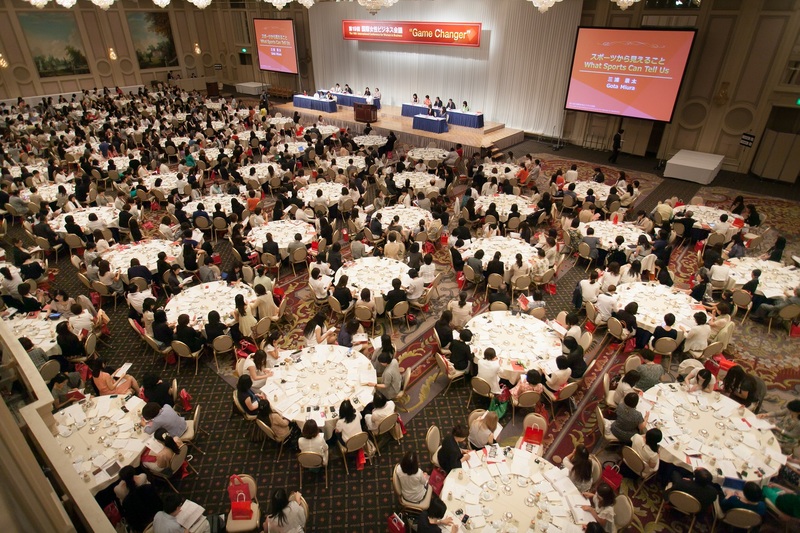 Some 800 participants — mostly women but a few men as well — exchanged ideas on how to capitalize on the momentum created by Abe’s adoption of the “Womanomics” initiative by changing the rules and mindset of Japan’s male-dominated corporate culture. As the first prime minister to participate in the conference, Abe renewed his pledge to break down the barriers that have prevented women, including working mothers, from keeping their jobs and advancing their careers. Despite his efforts, the recent misogynist heckling of a Tokyo Metropolitan Assemblywoman and a female member of the Lower House have demonstrated that Japan has a long way to go in shedding its male-chauvinistic culture. 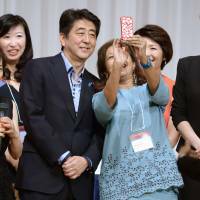 To position the nation as a global leader in female initiatives, Abe said that Japan in September will host a female version of the annual World Economic Forum, better known as the Davos meeting. International organizations including the World Economic Forum and the International Monetary Fund have long called on Japan to make more use of its female workforce to offset the labor shortage brought on by its rapidly aging population and antiquated traditions — some 60 percent of Japanese women quit work after giving birth. One of the obstacles blocking working moms from climbing the ladder, let alone staying employed, is posed by Japan’s notoriously and often unnecessarily long working hours. Some companies are generating more profit when their employees don’t do overtime. Work Life Balance, a consultancy promoting fewer working hours, successfully follows this philosophy. 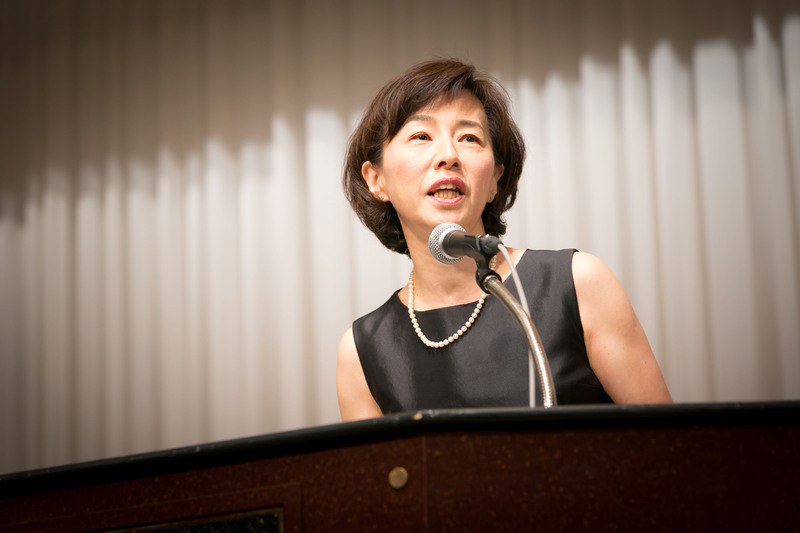 Its CEO, Yoshie Komuro, told the conference that Japan needs to change its labor structure and rules as it shifts from a “demographic bonus” — population growth with a comparatively slower expansion of the elderly population — to a “demographic onus,” in which the decline in newborns will threaten the support needed for a surge in seniors. According to the concept of demographic dividends by David E. Bloom of Harvard University, a country flourishes when males work long hours during periods of demographic bonus because the economy is mostly sustained by heavy industry. But in a country like Japan, which is going through a demographic onus period, women are needed to satisfy labor needs and companies must find ways to post greater profit with shorter hours, as wages are more expensive. Almost 30 years after Japan adopted a workplace gender equality law, the standing of women in business and politics has not seen much improvement. Even though women enjoy excellent education opportunities compared with the global standard, Japan is nearly at the bottom when it comes to women’s participation in the economy and in politics. The nation was ranked 105th out of 135 countries in the Global Gender Gap Report 2013 published by the World Economic Forum, sliding from 101st place the year before. Some Japanese companies are finally starting to realize that tapping into female talent is necessary to improve the bottom line. According to a study by McKinsey & Co., the return on equity for companies with a higher proportion of women in executive positions is 41 percent higher than firms with no females in leadership. More companies are responding to the Abe administration’s request to have at least one female board member and to promote more women as executives. Companies including Japan Airlines Co., Panasonic Corp. and Itochu Corp. appointed their first female board members in the past year. “Utilizing more of the female workforce is no longer a part of ‘CSR,’ or corporate social responsibility. A company can’t compete unless it has competent workers regardless of their gender,” said Yosuke Yagi, executive officer and executive vice president of Lixil Group Corp.
Lixil said last year it had more than tripled the number of female managers since 2011. 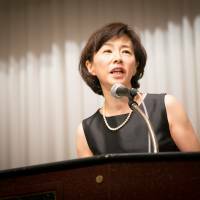 Masako Mori, minister of support for women’s empowerment and child-rearing, said women have made enough effort and it’s time for men to change. Under Mori, the government has started the Iku Boss (Teaching the Boss) system to re-educate male managers on the need to embrace diverse work styles. “Womanomics is not for women, but for men as Japan obviously suffers from a labor shortage,” Mori said. Women in previous generations recognized the lack of a support system for advancement and fought for better treatment. But Sputniko, 29, an artist and media lab assistant professor at Massachusetts Institute of Technology who goes by one name, views it as a chance for women to free the “sinking Titanic” of Japan’s male-oriented corporate sphere.